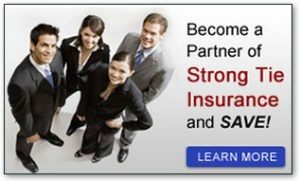 At Strong Tie Insurance, we can combine your policies and even reduce your monthly premium. Just think, less hassle, less paperwork, and a nifty discount. At Strong Tie Insurance, we are dedicated to doing our part to make our world a happier, healthier, and cleaner place. At Strong Tie Insurance, our financial expertise can help you better manage and budget your business expenditures. You should know where every penny is going; otherwise, you’ll have no idea where you stand from month to month.